40 years on, it still blows the other dystopias away. 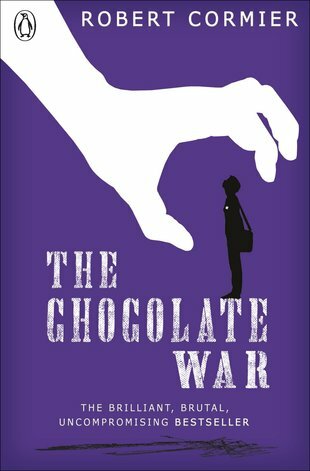 Chocolate equals power in the brutal school mafia. Conform if you want to survive. Forget The Hunger Games: the arena for this battle is Trinity College’s epic chocolate sale. It’s a fundraising effort that’s also a display of school spirit. Except that it’s run by Archie Costello: leader of the Vigils, a brutal secret society that rules the school. Archie is the Assigner, handing out the precious chocolate – and the humiliating tasks the boys must perform to get it. But this year is different. New kid Jerry Renault has refused to take part in the corrupt scam. There is only one solution: he must be destroyed. And the result is an explosive tragedy.